Having the ability to see things that are not always evident to most people is key. 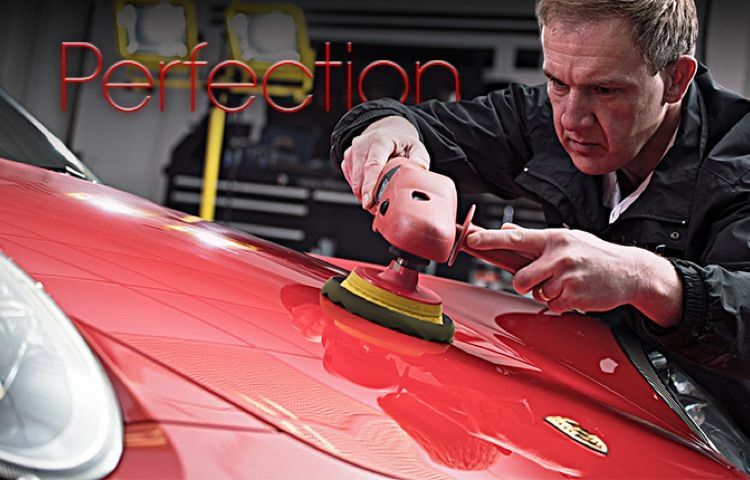 Being able to critique seemingly flawless paintwork is essential and having the knowledge and experience to understand where defects come from and how to correct them is paramount. Knowing what works best for the many differing paint types, age, colours and thicknesses allows me to create the very best work. I set up Off Your Marks Ltd in 2007 after leaving an established, successful and often stressful career in Engineering. Having progressed from front line work up into project and management roles I was never quite content, finding it difficult to rely on others to work at the level I wanted. I decided to harness my critical nature and my knowledge in automotive engineering and combine it with my real, ongoing passion for car detailing. Detailing is what I love and the satisfaction of my customers is what keeps my reputation as one of the very best detailers intact. Detailing is the collective term for a variety of intricate and specialised procedures or services that when combined allow me to provide the very best results possible. Not every car is the same and not every owner has the same requirements. I offer a free consultation where I can appraise your car, discuss your requirements and advise on the best approach. Creating the correct foundation is critical. Before any paint correction, enhancement or protection stages can be undertaken; it is absolutely vital that all surfaces are safely and thoroughly cleansed and decontaminated. A lot of time is spent in the wash bay ensuring these stages are completed. Following a thorough wash stage, all contamination both visible and non visible is removed with the use of specialist products and materials. This service is is included in every detailing package regardless of age or mileage. Tar spotting, tree sap, embedded ferrous micro particles, previous products, overspray dust and existing product coatings are all removed to allow me to asses the paint in its true state and provide a perfect platform for subsequent stages. Circular swirl marks, random deeper swirls, buffer trails, hazing, sanding marks, D/A pigtails, surface etching, surface marring, limescale etching, dust nibs, paint run, poor respray finish, overspray...In isolation or in combination all detract from the aesthetic quality of paintwork. When light is introduced to the vehicle surfaces; swirling and surface defects alter the way in which the light is reflected. It is dispersed in a random fashion and gives the paint a dulled finish as the true depth and colour of the paint is lost. Reflections become blurred rather than crisp and the overall depth of gloss is severely compromised. My corrective polishing procedures can restore an imperfect finish to a standard that is equal to or better than brand new without compromising paint quality thickness. Paintwork correction is my speciality it may be equalled by some but bettered by nobody. The purpose of the protection stages are to enhance the created finish and provide a durable protection from the rigours of driving and washing. Natural, high content carnauba waxes, nano particle coatings, ceramic coatings, hybrid coatings, synthetic waxes, scratch resistant coatings, self heal coatings - All have particular features and benefits in certain climates and vehicle use/care patterns. I can advise and use any product that is available to provide your vehicle with the correct protection and enhancing qualities you desire. PDR is a process that involves carefully manipulating the affected metal panel from behind, gently working out the low spots and tapping down the high spots. PDR is something that can be very effective when done correctly and it possible to totally remove the unsightly dent. Again, like paint correction the results depend on the skill and eye of the person performing the work. In some cases a badly repaired dent can look just as bad. I am able to incorporate PDR into my detailing services rather than it having to be treated as a separate option performed elsewhere. The only option to make chipped paint 'as new' is to have the affected areas repainted, however this option can be costly and not always desirable if originality is to be preserved. I can treat and repair chipped paintwork by carefully applying colour matched paint over an number of stages to affected areas and re level the area. 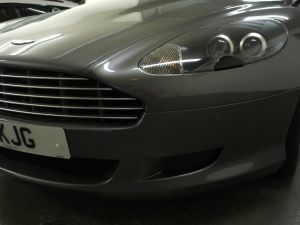 The finished result is a great alternative to a respray and in most cases very difficult to spot. 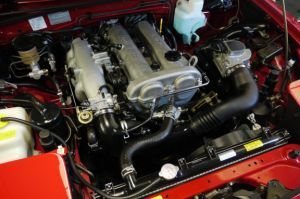 Although the engine bay is not an area 'on display' as such, it is an area that can and should be perfectly presented. Engine bay areas do get dirty over time due to air movement, heating and cooling cycles and the presence of hot vapours. The aesthetic benefit is a perfectly clean area to see and show off at car shows or club meetings, or purely for personal enjoyment. There is a practical benefit also with a 'clean as you go' mentality - this enables small leaks, pipe splits and component deterioration to be easily spotted. A vehicle interior is a place where the most time is spent by the owner. Most people are able to vacuum the car and wipe down surfaces but for the most discerning owners then there are more options available. 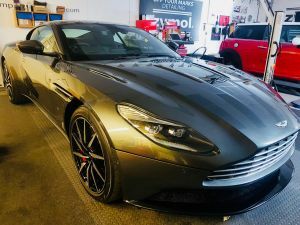 I am able to offer anything from a new car interior protection detail to a full intensive deep cleanse that can involve the removal of seats if necessary. I am able to recolour and remove leather patina as well as provide a range of coating or conditioning options to preserve the finish and make it less prone to scratching and dye transfer as well as keeping it supple. Treatments also include carpets, foot mats and synthetic surfaces. Arguably alloy wheels are the area on your vehicle to be subjected to the most extreme conditions. 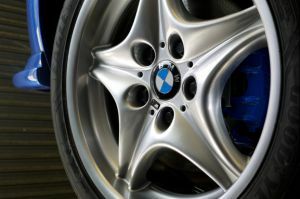 Full and total alloy wheel refurbishment or colour change services are available that include all possible colours and extend to the very latest diamond turning finishes. I advocate the removal of the wheels to allow a thorough cleanse and decontamination of every area; front, insides and rear. Once protected with a high temperature ceramic coating then the base is laid for far easier, less aggressive cleaning going forward as well as the benefit of total protection from all forms of attack. This particular treatment provides wet weather visibility helping to improve safety and reduce eye strain. It is far easier to remove bugs, ice and tree sap whilst avoiding mineral spotting. Some vehicles do not have a rear screen wiper; with a coating then visibility is dramatically improved. The very latest coatings are a far cry from the older generation that tend to smear and have limited longevity. Exterior trim often takes the form of moulded plastic, composites, rubber, gloss black plastic and coated aluminium or chrome finishes. It is possible to provide restorative treatments to remove ageing and chemical staining to these surfaces with the very latest techniques and products that serve to provide enhancement and future protection. 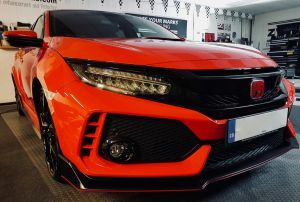 A common frustration for car enthusiasts is the need to visit many different specialists in order to complete the range of requirements they have. 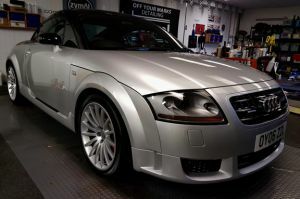 I am able to provide bespoke services and installations normally only found outside the scope of a detailing business. With appropriate qualifications, a background in mechanical and electrical engineering within the automotive sector as well as an extensive network of trusted partners; I have completed many 'projects' for enthusiasts to an extremely high standard. This saves time and money for my clients as well as the reassurance that their pride and joy will be worked upon and cared for by one discerning individual. I am able to incorporate a range of mechanical services into any detailing package. 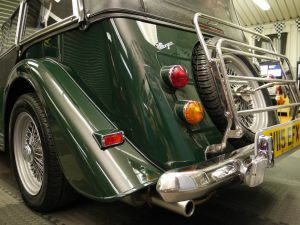 From a simple oil and filter change, replacement of brake discs and pads to the fitting of body styling items, exhaust systems or custom interior trim wrapping. Not everyone has a garage or the space to keep their weekend car safely stored when not in use. I am able to offer long term indoor storage that is clean, dry and with battery conditioning devices. Not being a vehicle storage business and having only a limited number of spaces, this means you don't have to worry about cars being moved around, people coming and going and risk of damage. Only I have access and only I will see or move your vehicle. Each package is designed to meet the criteria for differing levels of customer requirements, vehicle type, age, mileage and condition. There are no shortcomings in any package and whatever you choose, the results will be phenomenal. I always prefer to give a free consultation and appraisal for any vehicle that is not brand new. 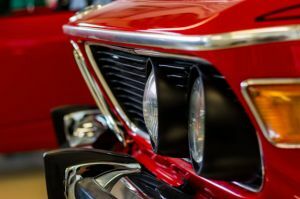 There are many factors which can affect your vehicle's appearance but these packages will give an indication of what can be offered and the different services that can combined. The perfect time to invest in providing the very best start for your new vehicle. Designed specifically for brand new vehicles that are due be collected from the dealership. This package centres on cleansing, inspecting, perfecting and protecting your new purchase to a standard beyond 'new'. Brand new cars will be significantly improved and protected. A perfect detail for vehicles that are already in great shape, are regularly cared for and where no paintwork correction is needed or desired. Intensive cleansing, preparation and protection is the ethos. 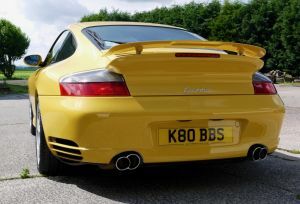 This detail is extremely popular with car enthusiasts and further builds on the Protection detail. An important additional stage is included that really makes a difference to the depth of gloss and clarity to the paintwork. Paint swirling and point defects are not always immediately obvious to the naked eye. 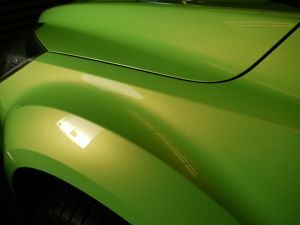 A quick glance at a car and you may be forgiven for assuming the paint is flawless, or what you perceive to be flawless. I invite you to take a closer look. Sunlight or other critical lighting can reveal a different finish than you expect. My signature detailing package is a tailored package that will address every aspect of any work required for your vehicle. No constraints on time and no limits to what can be achieved. I choose to use only the finest products that complement my work and work best for your vehicle but there are many products on the market and to some; a bewildering choice. If you consider clothing, then you'll appreciate that you may choose the clothes that look good on you, work well and are suitable for your chosen environment. It's the same with vehicles and the choice of products. There are variables such paint type and colour, condition of the paint, intended usage pattern and your washing routine. It's easy to presume that the product that lasts the longest is best but this isn’t always the case. Natural carnauba waxes, quartz coatings, nano particle coatings and ceramic coatings all have features and benefits. Through consultation, I can advise what will best suit your requirements as I have experience with all these types or product. I throughly enjoy what I do and it's an absolute pleasure to be entrusted to work on your vehicle. 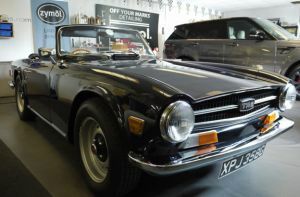 As a life long car enthusiast myself I have seen some wonderful vehicles and have delighted owners with the results of my passion, no matter what vehicle it is or how much it's worth. It's what's your car is worth to you, not its cash value that provides my motivation. My detailing studio is in a safe, secluded location set within private farmland. There are no prying eyes, no other business to put up with and no distractions. I have ample indoor and outdoor parking and I can provide a courtesy car for you to use whilst work is in progress. 'Just a heart felt 'thank you' for all the time, effort and advice. I hate taking my car anywhere because I always fear things are never done properly or it may get damaged. The work on my car meant I could use one trusted place (you)! 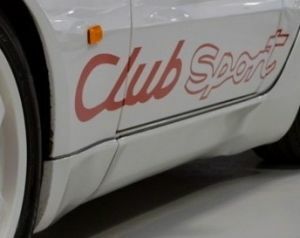 ill be sure to post up on the owners club forum how delighted I am. Thanks again! (email extract)"
"Normally I'm the first person to have a moan when I'm not happy and this time it gives me great pleasure to write to someone who has not only met, but exceeded my expectations. I feel it Important to tell you just how pleased I am with everything you have done, right from our initial emails through to me collecting my precious car. It's been an absolute pleasure (and relief) to find someone who understands exactly what I say when I want perfection." I love cars and Matt is my 'go to man' I trust him implicitly and would not think twice about a recommendation. He's the best in the business as far as I'm concerned and I'd never go anywhere else again. 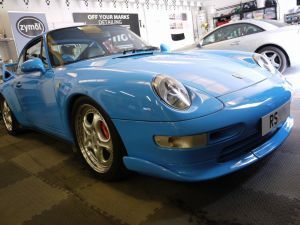 Hi Matt, a massive thanks for the awesome work on the 993 RS, especially for fitting me in your heavy work schedule so its ready for the coming weekend Porsche 70th anniversary display at Chomondeley Castle, Great job, Great Price, and a courtesy car thrown in, Big Thanks !!! 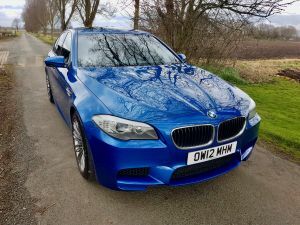 "Matt was highly recommended through a car forum I’m active on. Since then he is the only person who (other than myself) has been near my car’s paintwork. His knowledge and experience is simply top notch. I am known as a difficult person to please however, I have absolute 100% faith and trust in all that he says and does. To top it all off he is also a super bloke who has high octane petrol flowing through his veins – your car is in the best of hands." It seems almost superfluous to add another testimonial to those already on Matthew’s website but I really feel I should. I was recommended to Off Your Marks and arrived with a new Porsche and an open mind. I left after having all our cars prepared by Matthew and I can say that he exceeded my wildest aspirations. All the cars look fantastic and nothing is too much trouble for Matthew; his attention to detail and customer care is superior to virtually anyone, anywhere, and I am a perfectionist. I guess most people who go to Off Your Marks are at the very least careful car owners and probably many are fanatics. In Matthew you will find someone who cares about your car at least as much as you do - if not more. No matter how picky you are you will not be disappointed by the service that Matthew gives.